As one of the earliest commercial database systems, SQL Server offers excellent performance when handling complex SQL queries, and fully supports applications built on .NET framework. Automatically switches to standby instances when the primary instance fails. 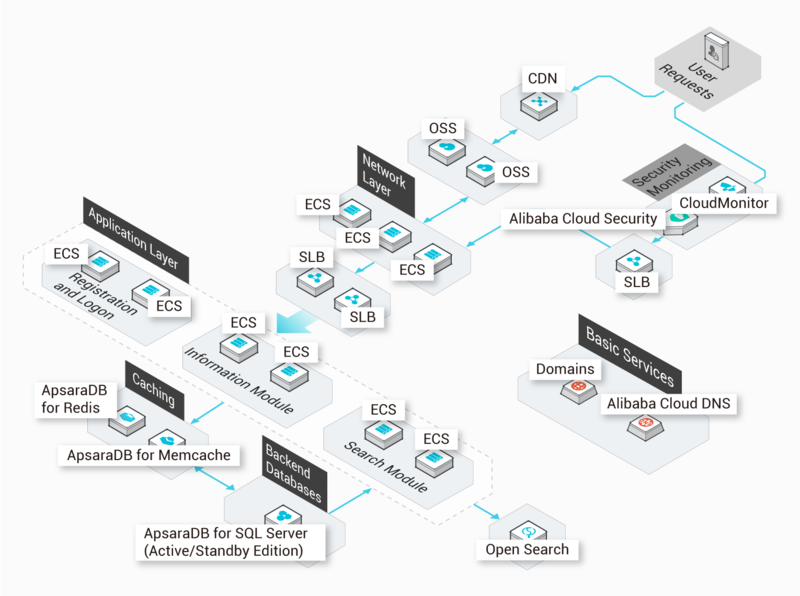 Maintained by the top database experts from Alibaba Cloud. The first cloud database system that complies with Grade III Protection of Information Security and supports encryption techniques such as TDE and SSL to prevent data leakage. Offers multiple performance metrics and custom alarm settings so that you can monitor and understand all your database information dynamically. Authorized by the SQL Server Enterprise Edition license. You do not need to pay additional copyright fees. 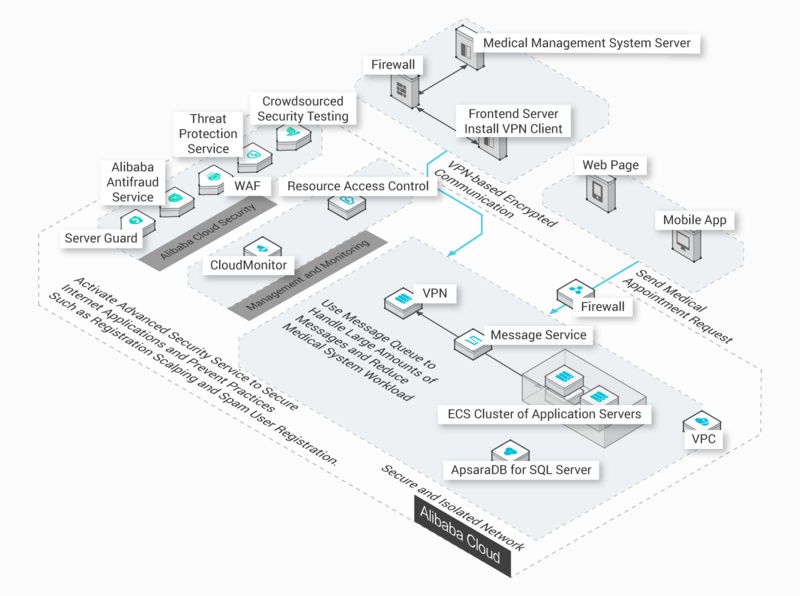 Provides basic and high availability instances that you can choose based on your needs. The basic instance supports SQL Server 2012 and is half the cost of a high availability instance. This type of instance supports failover, which ensures the smooth running of your service. Each high availability instance consists of a primary instance and a standby instance that are deployed on different servers and automatically synchronize data with each other. When the primary instance is unavailable, the system automatically switches the database connection to the standby instance. The high availability instance currently supports SQL Server 2008 R2/2012SE & EE/2016SE & EE. ApsaraDB for SQL Server has been certified by and meets the following standards: ISO 20000, SOC, and PCI-DSS. You can use the IP whitelist to control the requests to your SQL Server instance. You can also implement more advanced network access control through the VPC. ApsaraDB for SQL Server supports SSL encryption to prevent man-in-the-middle attacks. You can also enable Transparent Data Encryption so that data is automatically encrypted when moved to different disks. The SQL auditing feature allows you to record all information about the requests to your database. This ensures that all security issues are traceable. Provides automatic monitoring and alarms. Periodic performance inspections can reduce your maintenance workload by 60%. Dynamically monitors metrics such as CPU utilization, IOPS, network connections, and disk utilization, and sends alarms based on your settings. This enables you to understand the instance status easily. Offers automatic performance inspections and diagnoses. Allows you to create custom metrics and provides professional advice on SQL optimization in performance diagnostic reports. You can back up your data at any time, and use these backups to restore the data that was created up to two years ago when data loss occurs. This service is optimized to provide a 100-fold performance improvement in order to support data updates in high concurrency scenarios, such as e-commence sales promotions. In high-security mode, the SQL injection detection module blocks suspicious SQL queries in real time to ensure data security. Provides performance optimization to support data updates in high concurrency scenarios. Supports features such as IP whitelists, SQL injection prevention, SSL-encrypted transmission, and TDE. Provides a primary-standby architecture that allows you to switch between instances within several seconds. 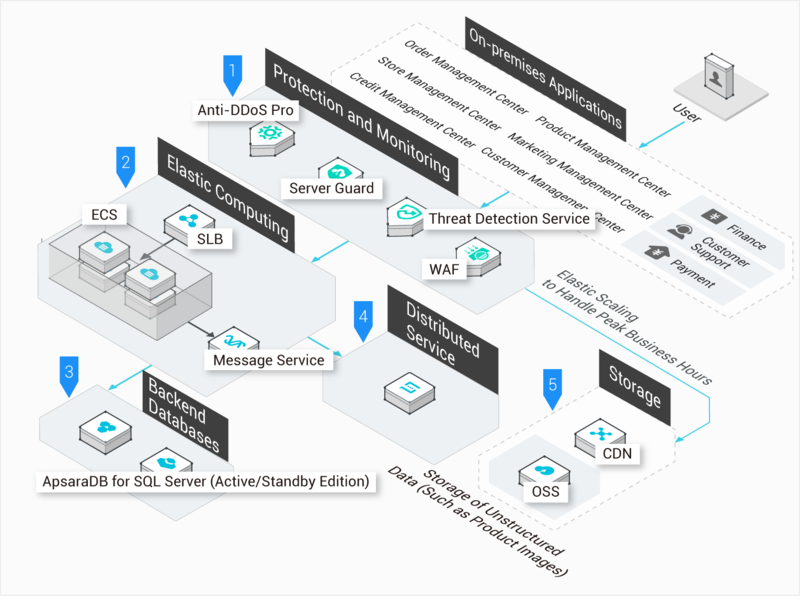 Based on Apsara's large-scale distributed computing and storage capabilities, the service provides basic instances that are cost-efficient and support horizontal scaling. These instances can meet the business needs of multiple types of websites. The basic instance offers almost the same performance as high availability instances at lower costs. The basic instance supports more flexible permission settings. ApsaraDB for SQL Server provides native support for VPC networks. The service also allows simultaneous access from public and internal networks. You can switch between the classic network and VPC network easily. This eliminates network silos and speeds up data transmission. Based on Apsara's large-scale distributed computing and storage capabilities, ApsaraDB for SQL Server provides basic instances that are cost-efficient and support horizontal scaling and read-write splitting. These instances can meet the business needs of multiple types of websites. Provides a primary-standby architecture that allows you to switch between instances within several seconds. This ensures the high availability of the sevice. Provides dedicated vCPU, memory, IOPS, and I/O resources. Instances are isolated from each other to provide high stability.